Pay attention during our upcoming performance of Glorious! and you will catch the name ‘Tallulah Bankhead’. Our main character, Florence Foster Jenkins, ran in a well-known New York circle during 1940s that included Miss Bankhead as one of her close friends and supporters. This amazing and wonderful true store of Miss Jenkins is one you will be glad you saw! 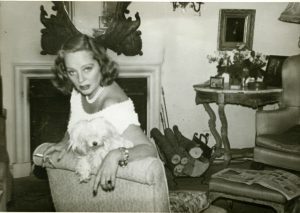 Tallulah Bankhead, a well-known actress of her time, had a long-time friend and companion in notable Vancouver Island resident, Dola Dunsmuir. Dola’s grandfather and grandmother, Robert and Joan Dunsmuir, built the coal industry on Vancouver Island, the E&N Railroad and Craigdarroch Castle. Her father, James Dunsmuir, continued running the family business and built Hatley Castle. She even has few connections to the Cowichan Valley, James Dunsmuir also owned a cabin on Cowichan Lake and Dola’s Uncle, Henry Croft, founded Chemainus’ neighbouring town of Crofton. Tallulah and Dola met in London. Dola was a great fan of the theatre, and of Tallulah, and eventually went backstage to meet her. Dola would visit Tallulah frequently (perhaps even catching one of Miss Florence Foster Jenkins famous performances). When Dola wasn’t following Tallulah on tour, Tallulah would visit Dola at her Vancouver Island home, Dolaura, where they would throw wild parties! 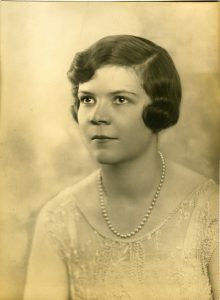 Dola passed away in 1966 but her story is part of the legacy of the Dunsmuir family on Vancouver Island. Don’t miss Chemainus Theatre’s production of Glorious! running September 14th – October 6th. Photos courtesy of the Craigdarroch Castle archives.